Total Wine recently shipped in another Brewery Direct option from a brewery we in Miami would have never likely seen otherwise. 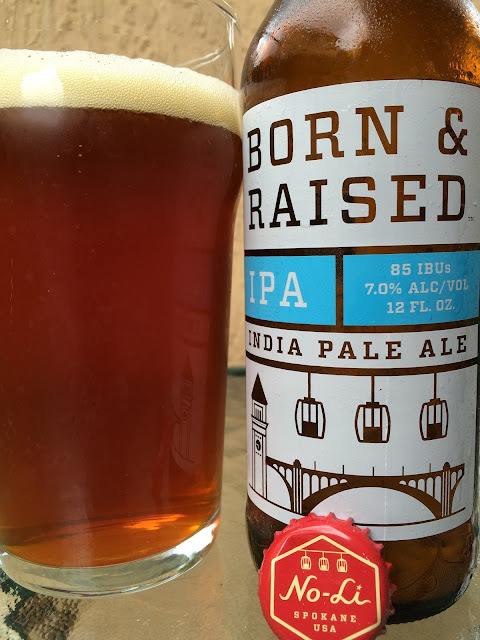 This time, No-Li Brewhouse from Spokane, Washington sent 5 or 6 different varieties to check out including Born & Raised IPA which I am checking out today. The label depicts a bridge and clock tower with what appears to be huge lanterns (or gondola cars) above it. Perhaps this is a local landmark. The name of the beer refers to the fact that the hops and barley used to brew this beer were sourced within 300 miles of the brewery. 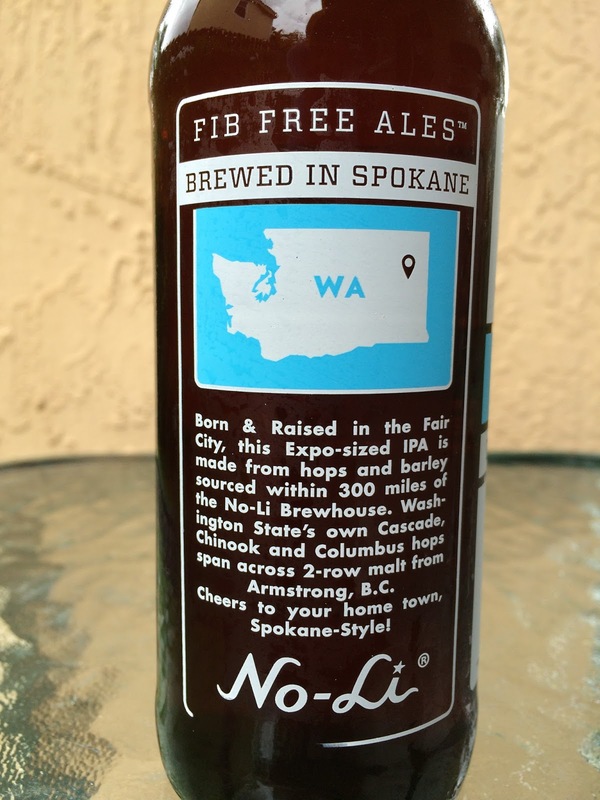 Tag line: FIB FREE ALES (which I assume goes with the No-Li name as well). 85 IBU; 7.0% alcohol. Pine with a light citrus aroma. Pine up front with some caramel and hint of honey sweetness to balance. Creamy texture. Citrus, perhaps light grapefruit adds more bitterness. Definitely a hit of alcohol at the also dry finish. Bitterness lingers even with a hint of mint which I didn't like that much. Not bad but pretty average and a finish that was less desirable than the rest of the beer.